When I installed Exchange 2010 SP2 by the GUI, it gave me an error: Setup cannot use domain controller ‘<server>’ because it belongs to Active Directory site ‘<site>’. Setup must use a domain controller in the same site as this computer (<site>). So how do you install Exchange 2010 SP2 forcing the setup to use the correct domain controller in the same site? Simple fix is to kick off the installation from the command line and watch it install from there. 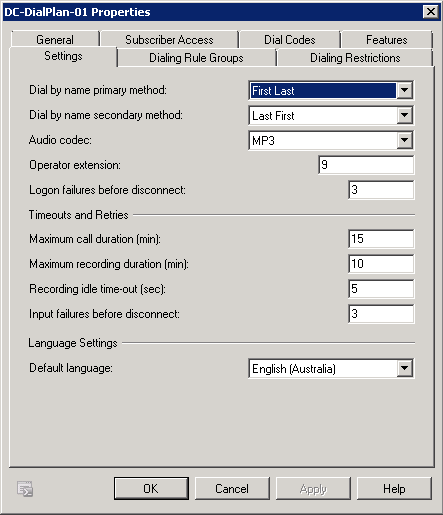 Change the default language of your dial plan back to what it was set to before. We have had no problems with the installation of Exchange 2010 Service Pack 2, and we are running 2 sites with a DAG across both. A tip to to some other users who still may experience problems. I had to create this registry key and then restart the netlogon service. This made the server think it was in the same site as the domain controller specified. Afterwords, you can delete the key and restart the netlogon service. Add String value “SiteName” and changed the value to your AD Site.